You are listening to a 1999 recording of Bobby Shew performing "All the Things You Are" with the Lakewood Jazz Ensemble. As Music Spectacular became more and more popular Jazz fans and musicians began recommending new guest artists for me to explore. They began to catch on that first shot was going to be a trumpet player! First 11 years of Music Spectacular saw "7" trumpet artists.I had no problem with Bill Watrous recommending Bobby Shew for Music Spectacular "12". Bobby is one of the greatest lead and jazz trumpet players.The charts he sent showcased him performing with the power of Arturo and the harmonic wit of Dizzy. 1999 is the year Nick Marchione begins playing in my band as a regular. Watch young Nick perform "Joy Spring" with Bobby Shew! 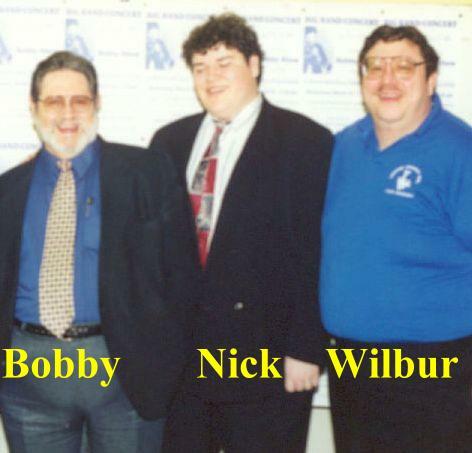 Everybody, including Bobby, knew Nick was special and on his way to becoming one of the worlds best trumpet players.